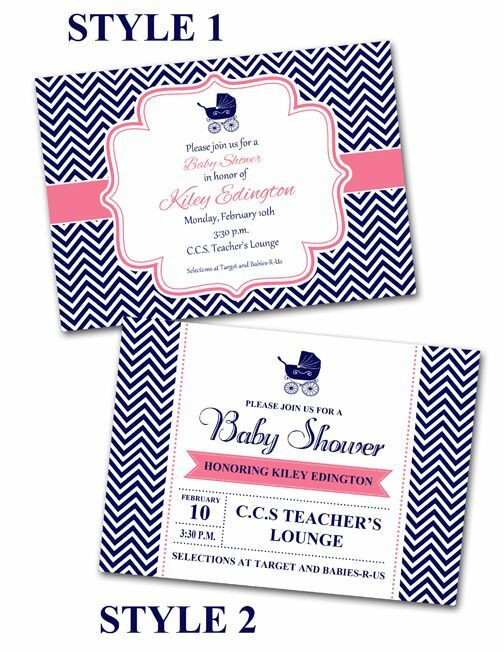 One of my best clients contacted me for a baby shower (she throws lots of them for her teacher friends) and wanted a navy and pink invitation. Here are the designs I created for her. If you would like one of these invites, a custom design or matching printables like water bottle wrappers, candy bar wrappers, gift tags, bag toppers, a banner and more contact Paper Perfection at jtanddolly@yahoo.com for pricing and details. Here are some matching party game printables.